Generally, in-stock items ship 1 business day after receipt of order. 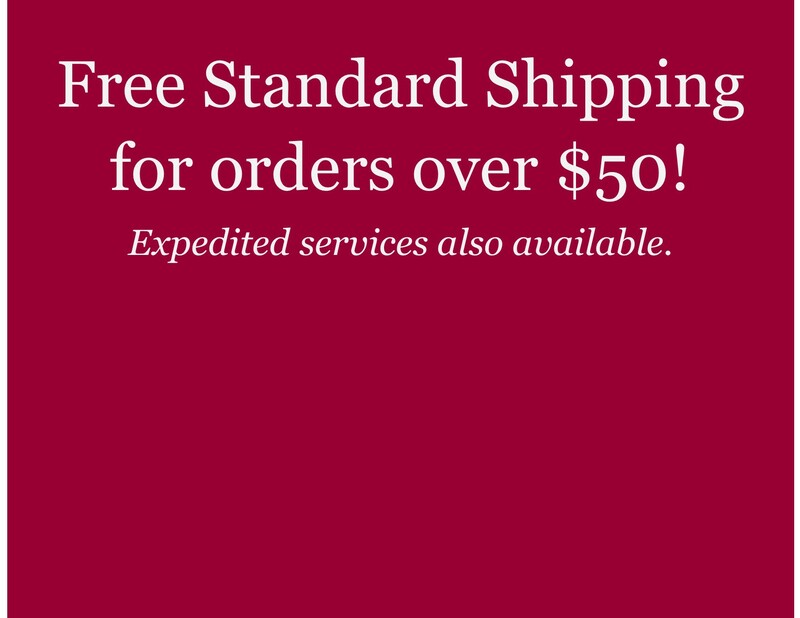 We ship most orders via USPS First Class Mail, USPS Priority Mail or Fed Ex Ground. We occasionally use other carriers on an as-needed basis. PLEASE NOTE: Imprinted Glass Stones, Ceramics, Sea Beans, and all Custom Stones are not stock items and have longer handling times noted in their item descriptions, please take this handling time into consideration when placing your order. If you have a special event date or need these items quickly please put a note in the comments box at check out or call or email us and we will make every effort to accomodate your needs. When ordering, please keep in mind we do not ship after 12pm EST on Friday or at all on Saturday or Sunday as our warehouse is closed. Also, please check individual item descriptions for notes on longer handling times. Generally items take 1 - 7 days in transit from date of shipment. If you need an item by a certain date, please write a note in the comments box at checkout and we will determine the most economical way to get your items to you in time. Orders placed before 3:00PM EST Monday - Thursday and before 12:00PM EST on Friday that require expedited shipping will be processed the same day. Orders placed after these times and dates requiring expedited shipping will be processed the next business day Monday - Friday. Expedited shipments are not delivered on Saturdays or Sundays. For example, if need by date is Monday and order is placed on Thursday before 3:00pm EST please choose 2 day shipping for arrival Monday as Saturday and Sunday do not count as shipping days. As always, if you are in need of an item the next day and it is after 3:00PM EST, please give us a call (410-672-3399) or email (info@courageinstone.com) and we will do our best to accommodate your needs! INTERNATIONAL CUSTOMERS: We are happy to ship to our international customers! Rates are determined by weight and destination. We are also happy to ship expedited to our international customers - again, please email for rates. If you need your order in a hurry, please write a note in the comments box at checkout and we'll do our best to accommodate. Returns can be made within 14 days of receipt and full merchandise credit will be given for most items on our site. Items must be returned in as-shipped conditions. Items returned after 14 days and up to 30 days from receipt will incur a 30% restocking fee. Items returned after 30 days will not be refunded. Custom items are all sales final and cannot be returned. 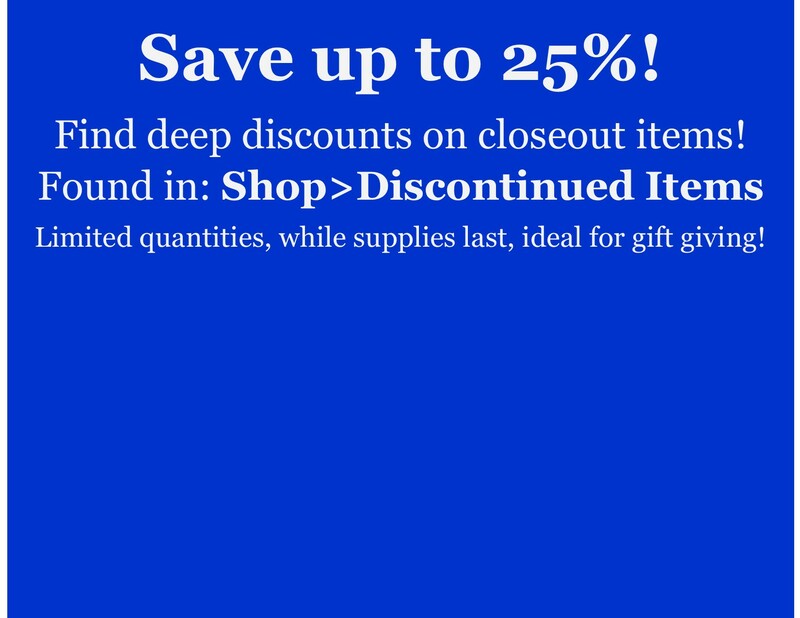 As well, any items marked 'closeout' or 'discontinued' are all sales final.